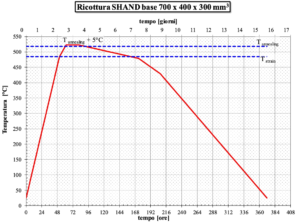 The el imination of residual cooling stress is an important step in the production process of glass articles, and is particularly delicate for objects of great thickness or with a particularly complex geometry. 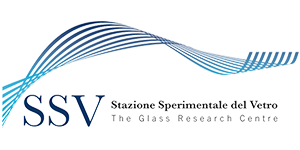 For objects with simpler geometry, Stazione Sperimentale del Vetro has developed a useful simulation tool for calculating the optimal annealing curve. For further information, please contact our technicians.